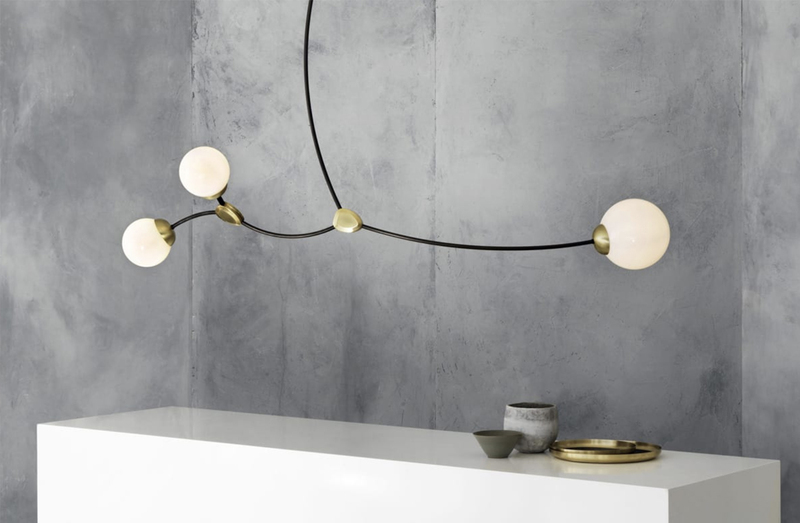 Chandelier with structure in bronze metal with details in satin brass, 3 shades in opal glass or smoked glass. See ADDITIONAL SPECS for detailed dimensions. Bronze, satin brass, opal glass, smoked glass.